The Batavia Chamber of Commerce has seen significant growth over the past 5 years where we have gone from 280 members to 470 today. Because of this growth we have set a goal of 500 members by the end of August 2019. Who is eligible? Any new members that sign up with the Chamber or existing members who refer a new member sign up! 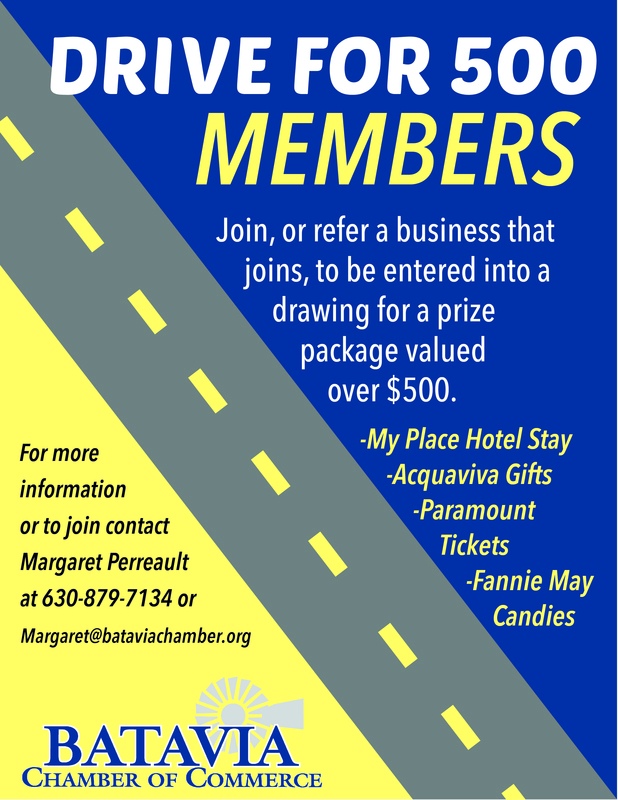 Our raffle package is valued at over $500 and includes two tickets to a show at Paramount Theatre, $100 gift certificate to Acquaviva Winery and 2 bottles of wine, an overnight stay at My Place Hotel and to top it off, a basket of chocolate goodies from Fannie May Candy.